There had been just two models of revolutionary change offered recently: the government falls, as in Egypt and Tunisia; or it violently represses protesters, exemplified by Libya and Syria. Other Arab nations faced with calls for reforms are still negotiating the paths that they will take. Morocco has offered a third way, with citizens voting overwhelmingly on Friday to approve King Mohammed VI’s proposed new constitution. It was a roaring endorsement of the king’s plan, leaving the opposition February 20 movement in a clear minority, although protests have continued in the streets and the 98 per cent “yes” vote itself has been questioned. The political significance has been felt abroad as well. The European Union and the United States, and many others, embraced the results of the vote as genuine political reform. Other Arab countries have taken note as well. The new constitution specifies that the prime minister will be elected, allots additional powers to parliament and empowers a stronger judiciary. At the same time, the king retains full authority over the security apparatus, effective veto power over legislation and unilateral power to declare a state of emergency. His speeches still cannot be debated in public. To trumpet the vote in Morocco as an example of Arab reform misses a key point of change: it takes time. The true test of this process will come in the weeks, months and years ahead. Opposition groups, including those led mostly by youth members, will continue to press for further change. As one leader told The National, the new constitution “leaves many problems unsolved”, including measures to fight corruption, release political prisoners and division powers. Bringing critics on board, or at least hearing them out, will be a first test of this new political order. 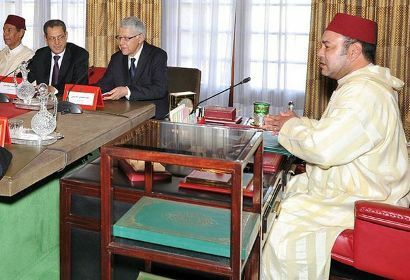 Constitutional reform has been promised in Morocco for years. But consider the timing. While Moroccans voted, Syrians were being shot, Libya was in civil war and Egyptians were marching yet again in Tahrir Square. The real work that Morocco now faces is its political reform process. Talking of change and implementing it are two very different paths. Choosing the right one is the way to lead the region by example. Originally published in the National, July 4, 2011.